Beets have recently become a favorite vegetable in my house. The sweet, earthy flavor is delicious in a salad or as a vegetable side dish. I've included beets in my backyard vegetable garden and have just started harvesting this year's crop. My favorite way of cooking beets is roasting them. 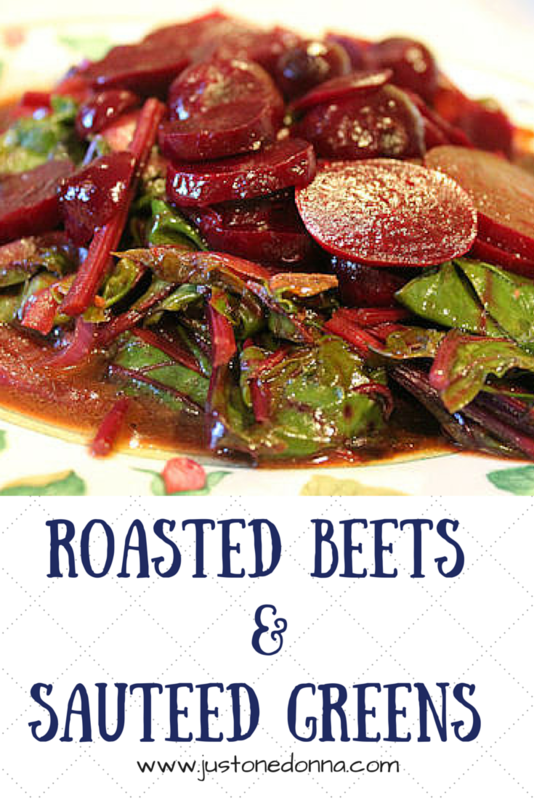 It is an easy way to cook them and roasting makes removing the skin from each beet a snap. I also make sure to use all of the parts of the beets. Start preparing your beets by cutting the washed and drained beets from the greens. Save the greens and stems to cook later. Preheat your oven to 375 degrees F. Place beets of similar size together on a square of aluminum foil. Fold the foil into packets. Place the foil packets on the center rack of your oven. Roast the beets until a fork easily pierces the beets, anywhere from 30-60 minutes, depending on the size of your beets. Remove the foil packets from the oven and allow the beets to cool slightly. Holding the beets under cool, running water, rub the skins off with your fingers. You'll find that the skins rub off very easily to reveal perfect little beet gems. Slice the beets and set them aside. 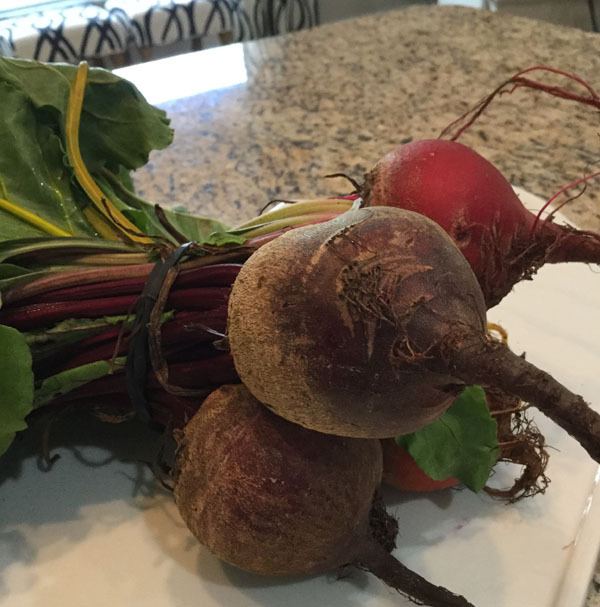 Now you can cook up your beet stems and beet greens. Wash and trim the beet greens to ensure all the dirt has been removed. Roughly chop the greens. Chop the stems into 1-inch pieces, discarding any that may look tough. Heat the olive oil in a large skillet over medium heat. Add the onions and garlic, cooking for about 1 minute to soften and wilt the onion. Add the stems to the pan and sauté them with the onions until tender, about five minutes. Stir together the balsamic vinegar, sugar, salt, and pepper. Add the chopped greens to pan. Stir in the vinegar mixture, coating the greens. Reduce the heat to medium-low, cover the pan and cook until the greens are wilted and tender. Add the sliced beets to the pan to warm them through. Serve as a side dish with your favorite entree. 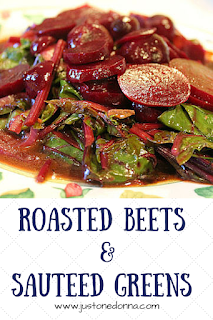 You won't believe how delicious the lowly beet can be!